Now’s the time to mulch your marigolds, mums, and marjoram. Pound for pound, it’s the best thing anyone can do for their garden. In spring it minimizes the number of weeds that germinate. In summer it helps the soil retain water and keep the roots cool. In fall and winter it reduces damage from hard freezes. Like a blanket, it holds in the soil’s heat, keeping plant roots nice and cozy. And if that weren’t enough, mulching improves your soil year round. Its protective matting helps prevent erosion and exposure during violent Texas storms. It provides a natural slow-release fertilizer. As it breaks down and is absorbed into the ground, mulch also helps to loosen the soil. You can use several organic material as mulch. When making your selection, consider how well it protects and what it will add to the soil. The most common mulch materials in Texas are pine needles, fall leaves, shredded tree bark, and compost. In regions where there are pine forests, the needles from these evergreen trees can be used as mulch. Pine needles form a pleasing matting and are slow to break down. Keep in mind, though, that pine needles will increase the soil’s acidity. Another popular mulch in wooded areas is shredded leaves. They’re cheap and decompose at a reasonable rate. If the leaves are large, get them shredded. In major metropolitan areas, check with the city’s recycling authority to see if shredded leaves are available to residents. 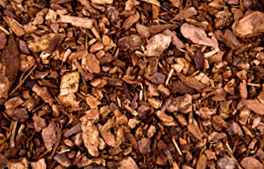 Shredded tree bark is a popular and attractive mulch. Pine bark is cheap and readily available but it floats away easily and takes a long time to break down. Look for cypress bark which resists floating. Avoid barks from eucalyptus and black walnut, which contain chemicals that deter plant growth. Where possible, get bark from trees native to your area. These trees often have bark with toxins that deter the local insects. Composted organic material is just about the best mulch you can use. It decomposes quickly, is an excellent source of nutrients, and doesn’t encourage fungus or insects. When properly prepared, it carries few weed seeds. Mulch does have one tiny drawback. It discourages self-sowing annuals, such as dill, cosmos, and caraway, from returning the following year. To correct this, pull back the mulch from self-sowing plants when they are setting seeds in late summer to early fall. Then recover the area after the seeds have dropped. Whichever mulch you choose, spread the material around plants and shrubs into a 3-4 inch layer. 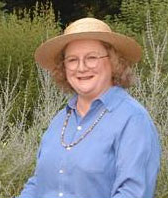 With your gloved hands, scoot the mulch under shrub branches. Don’t pile mulch against tree trunks as this can foster bark rot. Once you’re all done stand back and admire your handiwork. You will reap the benefits of a properly mulched garden all year round.